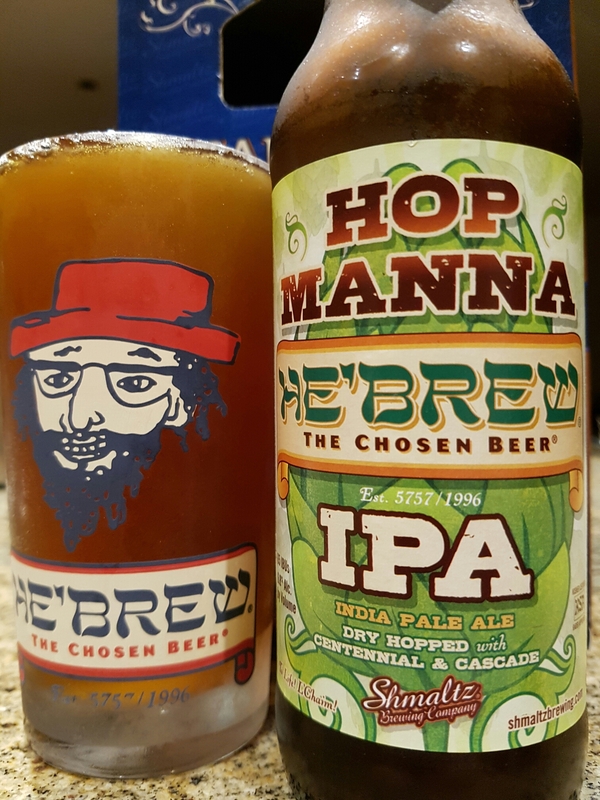 He’Brew Hop Manna IPA – Shmaltz Brewing Co. (NY, USA) | Justintoxicated. Visual: (cellared for 4 years). Pours brown-orange without a head, just a spotty haze of retention, scattered steady singular streams. Summary: Solid brew with a thicker mouthfeel and “infused” carbonation. Very drinkable, good balance.